I have served as a volunteer for the Point-in-Time Count for multiple years. Starting in 2018, our community began using the “Counting Us” app to conduct the survey as part of the annual Point-in-Time Count. As a volunteer, you are trained to use the app to complete survey questions with people experiencing homelessness. Many questions are answered with a drop-down choice, and the survey is easily completed within 10 to 15 minutes. 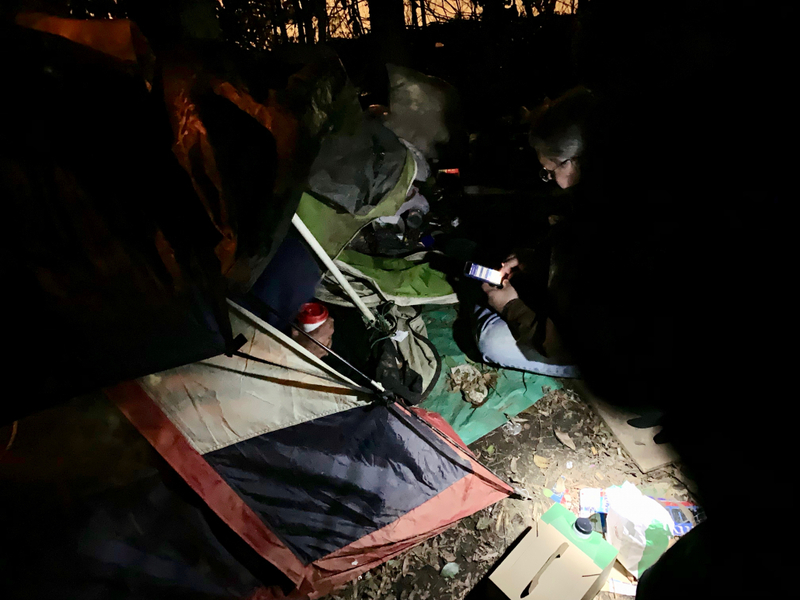 We ask about where people slept on the night of the count; demographic information like their age and race; how long they have been homeless; and how long they have been in Charlotte-Mecklenburg. We also ask why they are not in a shelter, what their barriers are to access housing, if they have income and how we can stay in contact with them to follow up with resources. This year’s Point-in-Time Count took place on what seems like the coldest night in Charlotte so far this winter. Temperatures dipped to 21 degrees. Volunteers were especially concerned about everyone who was sleeping on the streets, hoping they would come in to find shelter. The Urban Ministry’s Room In the Inn (RITI) program was prepared to see an influx of individuals and families. To prepare, RITI arranged for more churches to open their doors and provide warm places to stay. I was assigned, along with 9 other volunteers, to ask the Point-in-Time Count survey questions to anyone who was seeking shelter through RITI. At the end of my shift I successfully submitted the completed survey questions – answers to questions that will help our community continue to receive funding and, just as importantly, inform local work. But I left with so many of my own unanswered questions. When the doors opened at 4:30 p.m. I was unprepared for the high number of families with children I saw. Families with children are prioritized for RITI beds. Most of the children I saw were elementary school aged; some even had their school sweatshirts on. I was flooded with questions not on the survey: What time did the kids get out of school today, and where had they been staying since that time? Were they warm? Where will the kids sleep tomorrow, and the day after that? How early will they be awakened in the morning so they can get to school on time? How can they possibly learn when their lives are so unstable? After the families were entered, the single men were checked in. I met a 62-year-old man, riddled with arthritis and a bad knee which make it impossible for him to work. He was hopeful that some disability income would start soon. I wanted to ask: Where will you stay tomorrow and the day after that? How long will it be until you have enough money saved to even consider affording a place to live? Are you getting any medical attention? This reminded me of when I met a 30-year-old man who came to Charlotte a couple of months ago for work. He’s making minimum wage. He doesn’t have enough money to pay a security deposit for an apartment. I wanted to find him and ask: Where will you stay tomorrow and the day after that? How long did you have to wait tonight in the cold for a bed? How long do you think it will take you to save up enough money to find housing? Will you get enough rest tonight so you can be productive at work tomorrow? The answers from the Point-in-Time Count survey help our community in ways big and small: securing funding, informing policy and improving programs. The answers help us understand what homelessness looks like and gives us a sense of the scope of the problem. The answers help us see the individuals we question. And, like many answers, lead to more questions. Questions like the ones that still linger with me. My questions, left unanswered during my survey shift, are important for all of us to consider. It is absolutely critical that we each keep asking questions, even when it’s hard and there may seem to be no answers available. Because continuing to ask questions will force us to search harder for solutions. Serving as a volunteer with the Point-in-Time Count is a humbling experience. I’m going to keep asking my questions. I encourage you to do the same, and join me in the search for answers.  Mary Gaertner has worked for the City of Charlotte for nine years on the issues of homelessness and affordable housing.  As a Neighborhood Program Coordinator, she manages the work of the Housing Advisory Board of Charlotte-Mecklenburg who were responsible for implementing the community’s 10-Year Plan to end and prevent homelessness and serve as the governing board for the Charlotte-Mecklenburg Continuum of Care. Mary likes to be an “in the weeds” person in developing strategic planning but is most proud of her ability to use a broader lens and willingness to question processes when necessary. She is often called upon to help think through ideas and solutions to solve complex issues.